Tapping the Hidden Power of Music and Chant. 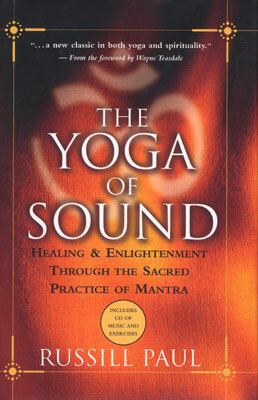 For thousands of years Hindu spirituality has understood the profound effect that sound has on our well-being. From this tradition comes The Yoga of Sound, which draws on yoga's long history of applying sound to reduce stress, maintain health, and invoke spiritual awakenings. In lucid exercises presented both in the book and on its accompanying CD, Russill Paul shows how everyone can learn the art of mantra and how these practices can help to optimize the flow of energy within the body and enhance emotional well-being.